Sylvie Gleises joined AXA Group in 2006 after 6 years of strategy consulting with Roland Berger. She held various positions at headquarter levels, notably in the Investor relations team, and as Chief of staff to the former Group Chairman & CEO Henri de Castries, as well as Secretary of the Board of Directors. She joined AXA ART in 2014 where she is now global Head Distribution/Marketing/Communication and CEO of Continental Europe. 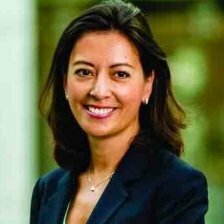 In parallel, she also started as Head of Revenue Synergies of AXA XL, the new division of AXA Group for commercial lines. Sylvie graduated from French business School ESCP and holds a Msc. from the London School of Economics.